Well, for a short time I shall have a sabbatical time with the blog. In this step of the tutorial let’s configure the system limits for the nodes, and also let’s configure GIT over SSH. It’s time to configure the first node. After configuring broker system, we’ll spend the rest of the tutrial configuring the node. In this tutorial we’ll configure the OpenShift Origin Web Console. It has been written on Ruby and will allow access to users for create applications, offering the available application cartridges. 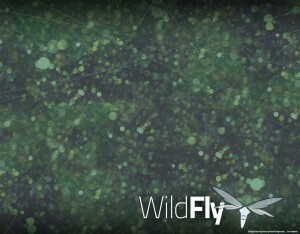 The community has released the version 9.0.0 Alpha1 of Wildfly application server. On downloads section of Wildfly web page it’s available but also you can download from here in ZIP format or in TGZ format. After the broker configuration in the previous post (installing packages and configuring gears), now it’s time to configure OpenShift core services through various plugins. These plugins are responsible to manage authentication, updating DNS or messaging between nodes. Have their own config files, and also we have some sample files we can use as templates. Let’s continue with the tutorial and we’ll install MongoDB database which store all data about OpenShift infrastructure. After that we’ll install ActiveMQ messaging service who is responsible of communication between the broker and nodes. Finally let’s install MCollective client which is responsible of sending and receiving messages between the broker and nodes. Over several post I ‘ll show how to install OpenShift over Fedora 19. It can also be done on a single machine, but to better understand the behavior of each component is best done separately.